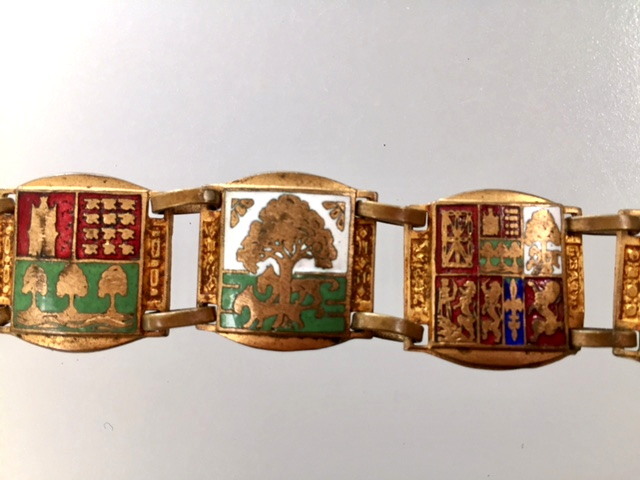 This is a rare treat indeed, as we have never seen one of these enamel bracelets with all the regions or Provences of France, they are usually from Paris! 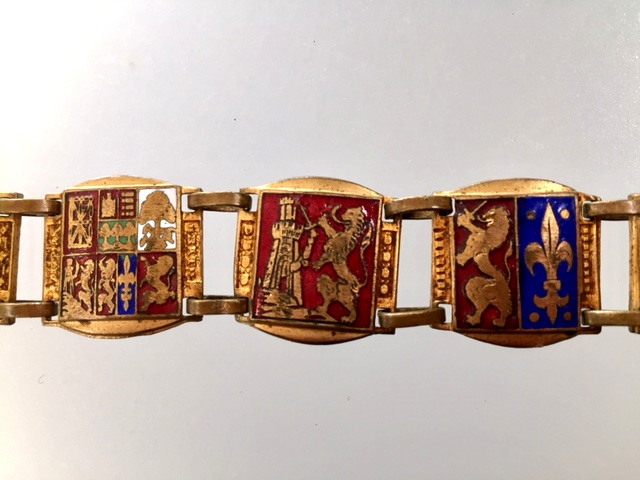 A superb French Enamel Souvenir bracelet with all of the famous regions of France!! Measures approx 6.5" Long and .75" wide.